My package was received in perfect condition and I would like to pass on my thanks to Jesse for handling my package with such care. Thank you! I have used MyUS quite a few times by now and all I have to say is that their service is simply exceptional. Packages are delivered right on time and their Customer Service is way more than helpful. If you are drooling over something at an American online store I just can't recommend MyUS enough. All MyUS members are responsible for any duties or taxes due upon receipt of delivery. These charges are not included in your MyUS shipping fees. If any of your merchandise is broken or prohibited, MyUS will notify and assist you in returning these products. Returning this merchandise saves you unnecessary shipping, duty and tax fees. As a MyUS member, you have the tools available to choose the fastest or most cost-effective delivery method for your needs. Your packages are carefully reviewed for restricted and prohibited merchandise by our compliance team. We will work with you to ship any restricted items in accordance with Pakistan customs regulations, or arrange returns of any prohibited items. 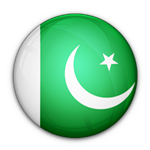 With MyUS, shipping US merchandise to Pakistan has never been easier. Now you can get the name-brand computers, clothing, beauty supplies and electronics you want in just days instead of weeks or months. A MyUS membership eliminates any international shipping issues from US stores. If a online retailer can ship it to us, we can ship it to you--even if the US store doesn’t offer international shipping. Join today, shop today and get the brands and products you want from the USA, faster than ever before. Thanks to MyUS, it’s never been more economical to ship US goods to Pakistan than it is right now. Don’t use less reliable shipping companies or more expensive freight forwarders. Join MyUS today and start saving on reliable international shipping. Hundreds of thousands of members worldwide save every day. It's time you did too. When you buy from US stores and have your purchases shipped to MyUS, we can put merchandise in your hands in two to eight days from our USA facility. If you want your goods delivered fast, we recommend express shipping, which will have you enjoying your purchases in just two to four business days. If you can wait a few days, MyUS can save you even more. Choose from our reliable economy shipping methods and your goods will arrive at your door in five to eight days. No matter what you're looking for--cellphones, electronics, shoes, baby items and everything in between--if you can find it online, MyUS is the international shipping company you can trust to deliver it to you fast. Don't worry if you don't see your city on this list. With our international shipping coverage, chances are, we can get your favorite US goods to you in a fast and cost-effective way. We also have members in Afghanistan, China, India, Tajikistan and Nepal who have trusted MyUS with their shipping needs for years. All countries restrict and prohibit certain goods from being imported. Avoid having to return banned merchandise or having shipments delayed by knowing what you can and can't ship to PK. View a complete list of banned and restricted items on Pakistan’s official customs and import website. Join MyUS today and take advantage of an international shipping company that has been keeping customers happy since 1997. We're here to take care of all your shipping needs and get your US merchandise to you in the fastest time possible. PLEASE NOTE: All delivery times discussed are best estimates. MyUS cannot predict bad weather, political unrest or delays at your local customs office. If you have any questions regarding transit times or require more information on shipping to Pakistan, visit our FAQ section. MyUS teams with DHL, FedEx Express and UPS for Express Shipping. Our Economy shipping is via FedEx Economy and USPS, and our standard courier is FedEx Freight.